When it comes to the concept of leadership, a hot topic not only within the past dozen or so articles of E-Veritas, but also just within our society as a whole, one idea that is not news to anyone is that it is always evolving. Recently, while reading Goleman’s Primal Leadership as part of officer professional development at 2 Combat Engineer Regiment, I came across an interesting idea within the scope of leadership regarding the difference between alignment and attunement. During a meeting this past week with the RMC Club’s Executive Director, Bill Griffis, we spoke at length about leadership in the modern age and I presented this idea to him, which he promptly encouraged me to share via article submission. In Goleman’s text, he describes alignment as a style of resonance that requires subordinates and sub-leaders alike to align themselves directly with the goals of the organization, regardless of their own personal aspirations, morals, or values. In contrast, attunement is the idea that sees people align themselves more with the vision and values shared by the company as opposed to the strategy or goals, which can be fostered later on. Moving this now to layman’s terms, and using my rudimentary drawing skills as the Engineering Officer that I am, I have depicted each concept in sketches above. The first sketch (top left) represents alignment. 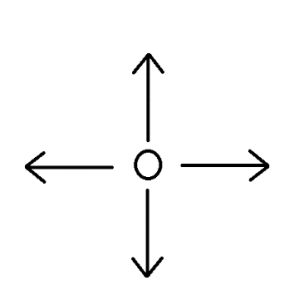 From this sketch, we can see the all arrows face forward and sees the machine (so-to-speak) moving forward, perfectly aligned. Although this does prove an efficient method for forward progress, it fails to ensure the widening of the organization in more than one facet, as the unit can only move in one direction at a time. 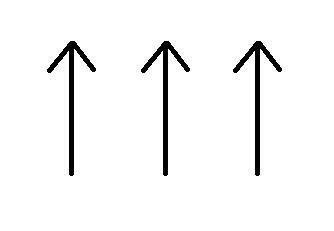 Looking now at the second sketch (top right), which represents attunement, we can see that the various arrows are moving in different directions at the same time, while still anchored at the base. This base represents the values and vision of the organization, which anchors all members to the same ideas while still allowing for expansion of the organization in various directions as a whole. This is one of the main ideas within the concept of Mission Command, something we as leaders are all very familiar with. All in all, the reality today is that subordinates and subordinate commanders no longer wish to receive orders for execution based solely on the commander’s word alone. This is the evolution leadership is undergoing, both in the sense of leading and following as well. Particularly in the modern CAF, soldiers want to know the why. Sappers want to know why we’re digging trenches in the location we are, and gunners want to know why we’re laying down indirect fire in the places we choose. Emotionally intelligent leaders, as Goleman alludes to, know that alignment no longer suffices. We must do more than make people aware of the strategy or single direction of the organization, but rather emotionally connect our subordinates to the core values and vision, which they in turn should seek to emulate. Moving back to the examples of sappers and gunners, I think that we, as leaders, need to take the time, especially in training, to explain these concepts to them, therefore not only aligning them with the mission, but attuning them to the organization. This then not only fosters trust, but also professionalizes the force as we educate our soldiers to become leaders themselves. Goleman, D (2002). 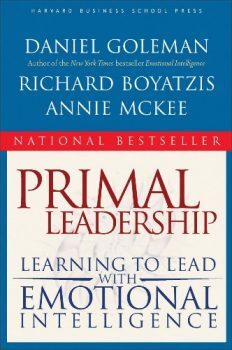 Primal Leadership : Realizing the Power of Emotional Intelligence. Boston, Mass. Harvard Business School Press.